The upcoming La Liga match between Real Madrid and Deportivo La Coruna, taking place this Saturday, January 9th in Madrid, is attracting more attention than it usually would following the appointment of club legend Zinedine Zidane as Real's new coach. Zidane spent his last few years learning the managerial trade working as an apprentice to past first team bosses Jose Mourinho and Carlo Ancelotti. 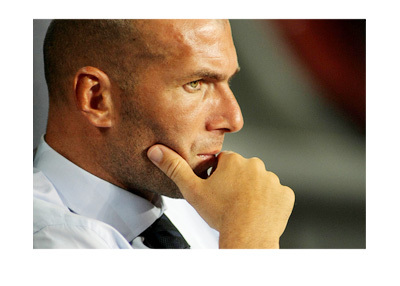 Zizou also took charge of Real Madrid youth team, Castilla. The fans and the media are dissecting everything about the upcoming game. What formation is Zidane going to play? Will the BBC (Bale, Benzema, Cristiano) play together up front? Will James Rodriguez start? How about the unsettled Isco? Zidane promises attacking football, high in pace. How will the dressing room respond to their new manager? Gareth Bale was one of the players left upset with Rafael Benitez's sacking. The most expensive player in the world was playing a more central role under Benitez, a role that suits him best, but now he might have to settle again for a spot on the wing. Zidane did not have great success coaching the Castilla side, but there is an aura of greatness about him that might affect the Madrid superstar players in a positive way. Afterall, Zinedine Zidane is a true football legend. Zidane and Real agreed to a 2.5 year contract. Will Zizou start his reign with a big win on Saturday at the Bernabeu? Deportivo are having a decent season and are currently seventh in the standings ahead of teams like Sevilla and Valencia. The odds are heavily stacked in favour of Real Madrid. The kick-off is at 8:30pm local time.